Learn more about our Heart Care Service here. 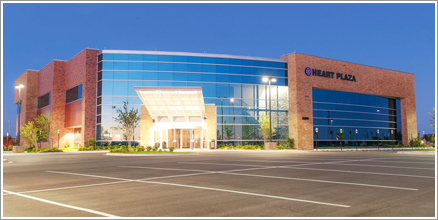 Physicians whose medical offices will be housed within the building include Norman Regional cardiologists – Drs. Paul Ayers, Archana Gautam, Jeffrey Crook, Katherine Hays, Muhammad Salim, Michael Sellers, and Michael Villano, as well as cardiovascular surgeon Dr. Kyle Toal. The Oklahoma Wound Center is also housed in the Heart Plaza. 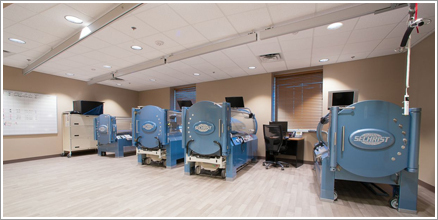 The center offers expert care in the areas of wound healing, diabetic limb salvage, and hyperbaric chamber treatment. Please click here to learn more about the Oklahoma Wound Center. Norman Regional’s Endocrine Center is dedicated to the treatment of patients with endocrine-related diseases and disorders. The center has two endocrinologists, Drs. Lubna Mirza and Tan Pham, who specialize in the treatment of disorders involving the body's glands and the hormones they secrete. These conditions include diabetes, obesity, osteoporosis, thyroid disease and more. Please click here to learn more about the Endocrine Center.